ICU reading glasses offer you cheap designer reading glasses at a fraction of the usual prices for fun funky cool reading glasses. Whether you are a woman or a man, it does not matter because ICU reading glasses have a variety of cheap designer reading glasses that will appeal to you. The collection is fashion conscious with most of the designs adopting charming bright colors that add a sparkle to the wearer's face. In addition, if a person is looking for more subdued look, there is something in the offing. The search for the ideal eyeglasses from the mass of attractive and efficient options available requires a person's knowledge of the effect of some of the colors on his or her face. For instance, should a person go for the cool designs or the striking prints or stripped pieces? 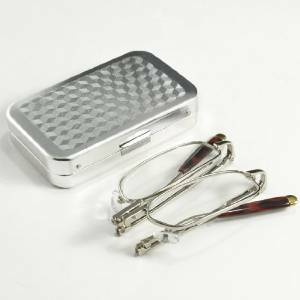 These funky reading glasses also come with a matching portability case to each of the women's eyeglasses it offers. One of the striking designs that appears on the men's and the womens reading glasses collection is the giraffe prints that run all round the frame. 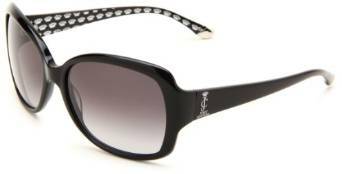 In addition, the ICU reading glasses allow a woman to advocate for one of the dreaded diseases that are affecting women as well as men in the world - breast cancer. For that reason, a lady can choose the pink ribbon eyewear, which has a pink frame along with the pink ribbon embellishment on the hinges. The shade is not very striking and will match well with the wearer's skin color and outfits. 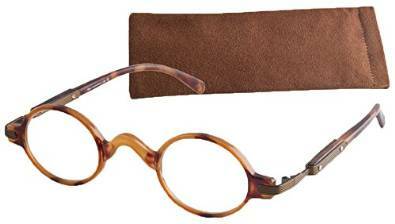 The frame is thick as is the case with all the spectacles provided by this company. It will cost the wearer about $24 for this piece that drives the point home about a worthy cause. On top of that, there is a variation of this design that adopts a black colored frame on the outer part with the pink color taking dominance on the inner part of the frame. 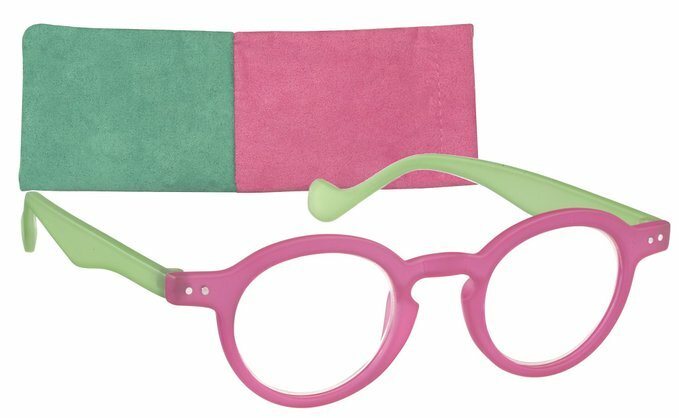 The ribbon appears on the hinges and the company donates part of the money from the sale of these spectacles to the breast cancer initiatives. This type retails for about $30. 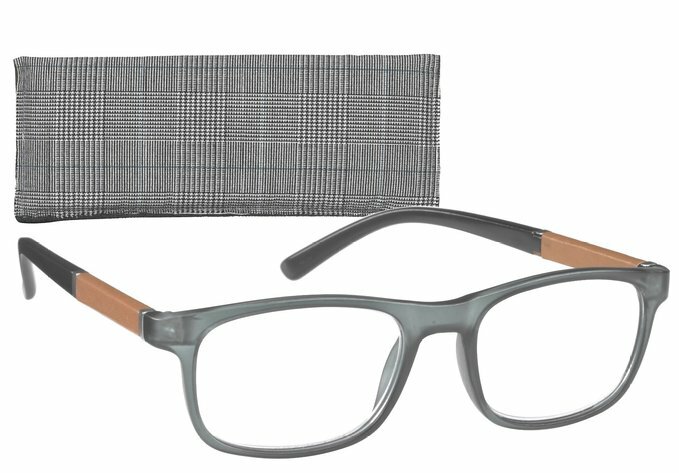 If the individual is looking for eyewear that uses several materials, the metal and plastic collection will suit the need. It combines metallic eye rims with the plastic temples that come in red or tortoise colors. These correspond perfectly and the result is eye wear that has a modern look with thick temples. When settling for any of these products, it is wise to go through all the classifications such as the sun readers, the ravel readers and a host of other groups because the color scheme in most of these pieces may be too dominating in different scenarios and perfect for other events. 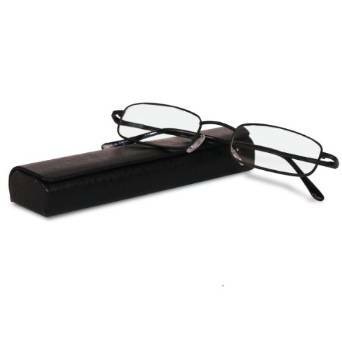 The choice of cheap designer eyeglasses under the ICU reading glasses brand is wide and a person can always get several pairs that match the needs and the environment the person will use them.